Govanhill Theatre and Radio Theatre Group join forces once again to present the classic pirate adventure. 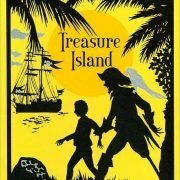 In the 1700’s a treasure map falls into the hands of young Jim Hawkins. With the help of his friend Dr. Livesey & Squire Trelawney, the trio set sail from England with Capt. Smollett and the crew of the Hispaniola to a deserted island in search of buried treasure. But they are not the only ones interested in the map, and the ship’s cook, Long John Silver & his compatriots are not what they seem to be. This “radio play” performed as a live radio recording, is a great family adventure. Govanhill Baths Community Trust is embarking on an exciting new era in our history and we need an enthusiastic and experienced marketing and campaign expert to help. This year, in order to raise the funds for capital works and to bring the facility into community control, we will be launching a community share offer with the support of Community Shares Scotland. The role will involve working closely with the Trust Board and staff to achieve our goal of engaging a broad range of investors. The new Campaign and Marketing Manager, will oversee the fundraising strategy involving Crowd Funder and engage the local community in building a sustainable future for Govanhill Baths after refurbishment. If you believe in our project, and have the skills to help, we want to hear from you. If this sounds like you, please send a cover letter, CV, and two references by 5pm on 26th of July. Interviews will be on July 31st. 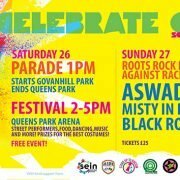 The first Govanhill International Carnival takes place on Saturday 26 August 2017. Over the summer, community groups, faith groups and local schools are working hard to create banners, costumes and masks for the parade that will be the focus of the Carnival. The parade will terminate at The Queens Park Arena for a family-friendly afternoon of music, food and activities for children. The Carnival takes place over the same weekend as The Unity Festival organised by Inhouse and Queens Park Arena and will be augmented by a music festival celebrating the 40th anniversary of the Rock Against Racism movement, featuring Black Grape, Aswad and others.